Drones for Municipalities: What You Need to Know in Order to Fly! To gain hands-on experience on how to set up a drone project, fly the drone, produce final imagery through various software packages. Part of the day will include lecture and discussion and part of the day will include field work with hands-on exercises. By the end of the workshop you will have all of the information necessary to set up a drone program for your town government. Dr. Stephen Young is a Full Professor of geography and specializes in remote sensing and environmental sustainability. Dr. Young has worked with satellites for over 30 years with over a dozen publications. He has been flying drones and teaching with drones for the past two year and is FAA certified as a Remote Pilot. Mr. Richard Ames is a GIS professional with over 25 years’ experience in the municipal and private sectors. In addition to an undergraduate degree in Cartography/GIS from Salem State, Mr. Ames holds a MA in GIS and International Development from Clark University. Mr. Ames established Natick’s drone program and became an FAA certified pilot in September of 2016. Sergeant Christos G. Zamakis is a member of the Peabody Police Department and is currently assigned to the Research and Development/Training Division. Sergeant Zamakis has earned his Bachelor’s and Master’s degrees in Criminal Justice from Salem State, and is currently enrolled in the Geo-Information Science master’s program at Salem State University. In his master’s program Sergeant Zamakis is studying drone use for police departments. Improve your written communication skills in one day. Review grammar rules and guidelines, and how to polish your written documents to make them more powerful and professional. NOTE: A parking permit will be emailed to all registered/paid participants shortly before the class date. REFUND POLICY: 100% refund before the first class meeting; 50% before the second class meeting. No refunds after the second class meeting. This program will give an overview of legal topics relating to employees and provide best practice tips for business owners and human resources professional during the hiring, evaluation, discipline and termination processes. This program will allow professionals to respond to the challenges businesses face with employees. The course will provide attendees with the basics and will reinforce those attending who have existing knowledge of Massachusetts and relevant federal employment laws along with tips for best practices in high-risk areas. This interactive class will include hypothetical cases and open class discussions. Attendees will receive written resources to assist them beyond the classroom environment. This one-day course will provide invaluable information to business owners, office managers, managers, human resource professionals and attorneys who advise businesses. Our Instructor, Maureen Louise Pomeroy, Esq., in an experienced employment law attorney with senior level certifications from several human resources organizations. NOTE: A parking permit will be emailed to all registered/paid participants before the class date. Next Class is in May – Watch this website for registration opening soon! RIIA gives you access to 12years of client-focused experience with researchers and peers who belong to a thousand-strong network of clients, advisors, vendors, distributors and manufacturers. Together, we are building the most objective, rigorous, comprehensive and tool-enabled body of knowledge for retirement income planning in the Fiduciary Age. 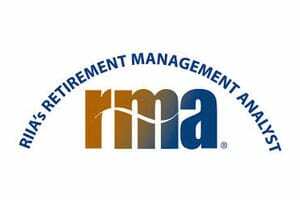 If you have three or more years of experience as a financial advisor, earning the Retirement Management Analyst (RMA®) credential will demonstrate to your clients and business partners that you have mastered the retirement planning advisory process. NOTE: The Retirement Management Online Program is an 9-week program (with one week for on-boarding), beginning on Monday, September 11 and ending on November 19, 2016. 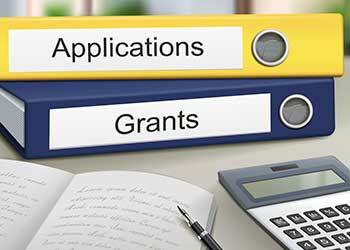 The RMA exam may be taken immediately on completion of the program, or may be taken within four weeks of completion of the online RMA program. Once you are registered, you will receive login information by email before the class begins. This is a great introduction to the fundamentals of employment law and the different areas of law that human resource professionals must understand for their day-to-day practices. Best practices and key written policies will also be reviewed. All attendees will receive additional information and resources. Refreshments, lunch and all materials are included in the cost of the course. NOTE: A parking permit will be emailed to all registered/paid participant shortly before the class date. REFUND POLICY: 100% refund before the first class meeting. 50% before the second class meeting. No refunds after the second class meeting. 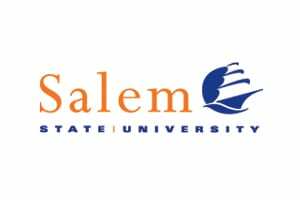 In the case of a Salem State Online class, 100% refund before the scheduled start date. No refunds once the Salem State Online class begins. For all other online classes (Gatlin, Ed2go, or MindEdge, no refunds of any kind will be issued). Please call Andrea Swirka at 978-542-6302 for more information. REFUND POLICY: 100% refund before the first class meeting. 50% before the second class meeting. No refunds after the second class meeting. In the case of a Salem State Online class, 100% refund before the scheduled start date. No refunds once the Salem State Online class begins. For all other online classes (Gatline, Ed2go, or MindEdge, no refunds of any kind will be issued). Please call Andrea Swirka at 978-542-6302 for more information.